LONDON—Homes in the U.K. capital have been among the hottest global assets in recent years, but Thursday brought fresh signs the market is cooling off. The stock fell 19.6%, its largest one-day drop since the company went public last year, to close at 165 pence, 59% below its peak of 402 pence reached in February this year. The most-recent national statistics show London house prices were up nearly 20% in July from a year earlier. But over the summer, evidence mounted that a tipping point had been reached. Leading real-estate agents in September warned that constrained lending, looming interest-rate increases and political uncertainty were making buyers more cautious. So far, market prices in high-end neighborhoods—targeted by international investors drawn to the U.K.’s owner-friendly property laws, stable currency and a comparatively simple buying process for overseas capital—have been hardest hit. Last week, data from buying agency Huntly Hooper showed average sale prices for central London homes costing at least £10 million ($16.1 million) fell 7.4% on the year. The introduction of stricter lending standards in April has helped suppress prices, and the BOE, in an effort to limit the riskiest type of mortgage lending, told banks in June to put restrictions on loans to borrowers requesting mortgages amounting to more than 4.5 times their income. Policy makers around the world have been taking measures to address incipient housing bubbles. Singapore, Hong Kong and Dubai all have targeted home prices with tighter mortgage-lending criteria and transaction taxes. In New York, the median sales price of Manhattan luxury co-ops and condos was $5 million in the third quarter of 2014, up 22% from a year earlier, according to appraisal and consulting firm Miller Samuel Inc. The rules have seen some successes. In Dubai, for instance, house prices have risen only marginally this year after shooting up nearly 50% last year. 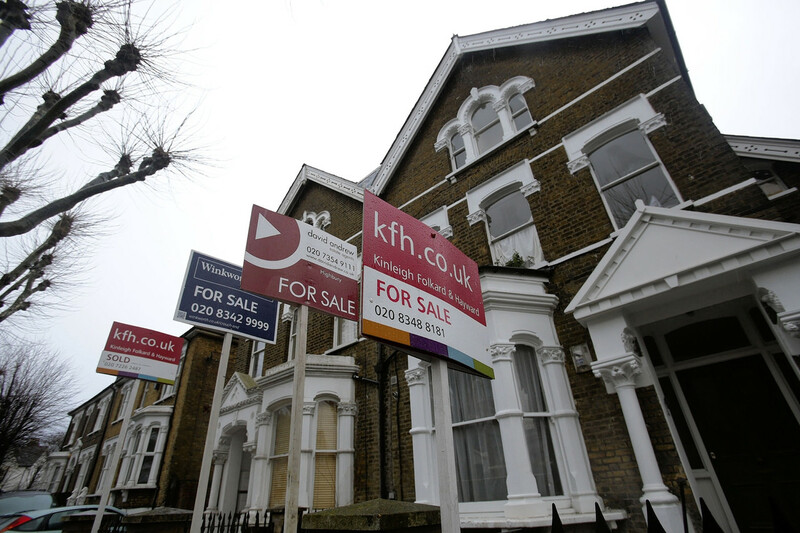 The possibility of further measures is keeping wary buyers out of the London market, said Chris Millington, an analyst at Numis Securities. The U.K.’s opposition Labour Party, vying for a win in next May’s national elections, has promised to introduce a levy on homes worth above £2 million. The Liberal Democrats, the junior party in the U.K.’s Conservative-led coalition government, backs a move that would disproportionately affect homes in the capital. Despite the market’s downward shift in momentum, London house prices remain among the highest in the world. The average London home cost £596,692 in October, up 7% from September, according to property-search website Rightmove PLC. This was the biggest monthly jump this year, but came after prices fell in three of the past fourth months. Foxtons said its weak third-quarter sales will hit full-year results, with a common benchmark measurement—earnings before interest, taxes, depreciation and amortization—estimated to end the year below the £49.6 million the firm posted in 2013. Its revenue in the three months to Sept. 30 was £39.9 million, down from £41.1 million in the third quarter of last year. Posted on October 27, 2014, in Postings. Bookmark the permalink. Leave a comment.